Wheels: 17 7 Split-Spoke Alloy (Style 7010), Wheels w/Silver Accents, Valet Function, Trunk Rear Cargo Access, Trip Computer, Transmission: Electronic 8-Speed ZF Automatic -inc: ZF 8HP45, JaguarDrive Control w/normal, eco, dynamic and rain/ice/snow mode and steering wheel mounted shift paddles, Tires: 17, Tire Specific Low Tire Pressure Warning, Systems Monitor, Side Impact Beams. This Jaguar XE has a strong Intercooled Turbo Premium Unleaded I-4 2.0 L/122 engine powering this Automatic transmission. *This Jaguar XE 25t Premium Has Everything You Want *Seats w/Leatherette Back Material, Remote Releases -Inc: Power Cargo Access and Power Fuel, Remote Keyless Entry w/Integrated Key Transmitter, Illuminated Entry and Panic Button, Rear Fog Lamps, Rear Cupholder, Rain Detecting Variable Intermittent Wipers, Radio: Meridian 380W Sound System -inc: InControl Touch 10 touchscreen, voice control, dynamic volume control, Bluetooth connectivity and audio streaming, iPod integration, HD Radio and USB and 12V socket in center console, Radio w/Seek-Scan, Clock, Aux Audio Input Jack, Steering Wheel Controls, Voice Activation and Radio Data System, Quasi-Dual Stainless Steel Exhaust w/Polished Tailpipe Finisher, Proximity Key For Push Button Start Only, Power Rear Windows, Power Rear Child Safety Locks, Power Door Locks w/Autolock Feature, Power 1st Row Windows w/Front And Rear 1-Touch Up/Down, Perimeter/Approach Lights, Perimeter Alarm, Outside Temp Gauge, Outboard Front Lap And Shoulder Safety Belts -inc: Rear Center 3 Point and Pretensioners, Multi-Link Rear Suspension w/Coil Springs, Metal-Look Gear Shift Knob. * Visit Us Today *Come in for a quick visit at Jaguar Palm Beach, 915 S. Dixie Hwy, West Palm Beach, FL 33401 to claim your Jaguar XE! Wi-Fi Hotspot, Wheels: 18 Unique 10 Split-Spoke (Style 1049) -inc: diamond turned finish, Valet Function, Trunk Rear Cargo Access, Trip Computer, Transmission: Electronic 8-Speed ZF Automatic -inc: ZF 8HP45, JaguarDrive Control w/normal, eco, dynamic and rain/ice/snow mode and steering wheel mounted shift paddles, Tires: 18, Tire Specific Low Tire Pressure Warning, Systems Monitor, Sport Heated Leather/Metal-Look Steering Wheel w/Auto Tilt-Away. This Jaguar XE has a dependable Intercooled Turbo Premium Unleaded I-4 2.0 L/122 engine powering this Automatic transmission. *This Jaguar XE 25t Landmark Has Everything You Want *SiriusXM Satellite Radio -inc: 3 month complimentary subscription, Side Impact Beams, Rocker Panel Extensions, Remote Releases -Inc: Power Cargo Access and Power Fuel, Remote Keyless Entry w/Integrated Key Transmitter, Illuminated Entry and Panic Button, Rear-Wheel Drive, Rear Fog Lamps, Rear Cupholder, Rain Detecting Variable Intermittent Wipers, Radio: Meridian 380W Sound System -inc: Navigation Pro, Pro services, Wi-Fi hotspot, InControl apps, InControl Touch 10 touchscreen, voice control, dynamic volume control, Bluetooth connectivity and audio streaming, iPod integration, HD Radio and USB and 12V socket in center console, Radio w/Seek-Scan, Clock, Aux Audio Input Jack, Steering Wheel Controls and Radio Data System, Quasi-Dual Stainless Steel Exhaust w/Polished Tailpipe Finisher, Proximity Key For Doors And Push Button Start, Power Tilt/Telescoping Steering Column, Power Rear Windows, Power Rear Child Safety Locks, Power Door Locks w/Autolock Feature, Power 1st Row Windows w/Front And Rear 1-Touch Up/Down, Perimeter/Approach Lights, Perimeter Alarm. * Visit Us Today *For a must-own Jaguar XE come see us at Jaguar Palm Beach, 915 S. Dixie Hwy, West Palm Beach, FL 33401. Just minutes away! Wheels: 18 6 Spoke (Style 6006), Wheels w/Silver Accents, Valet Function, Trunk Rear Cargo Access, Trip Computer, Transmission: Electronic 8-Speed ZF Automatic -inc: ZF 8HP45, JaguarDrive Control w/normal, eco, dynamic and rain/ice/snow mode and steering wheel mounted shift paddles, Tires: 18, Tire Specific Low Tire Pressure Warning, Systems Monitor, Side Impact Beams. This Jaguar XE has a dependable Intercooled Turbo Premium Unleaded I-4 2.0 L/122 engine powering this Automatic transmission. *These Packages Will Make Your Jaguar XE 30t Premium The Envy of Your Friends *Seats w/Leatherette Back Material, Remote Releases -Inc: Power Cargo Access and Power Fuel, Remote Keyless Entry w/Integrated Key Transmitter, Illuminated Entry and Panic Button, Rear Fog Lamps, Rear Cupholder, Rain Detecting Variable Intermittent Wipers, Radio: Meridian 380W Sound System -inc: InControl Touch 10 touchscreen, voice control, dynamic volume control, Bluetooth connectivity and audio streaming, iPod integration, HD Radio and USB and 12V socket in center console, Radio w/Seek-Scan, Clock, Aux Audio Input Jack, Steering Wheel Controls, Voice Activation and Radio Data System, Quasi-Dual Stainless Steel Exhaust w/Polished Tailpipe Finisher, Proximity Key For Push Button Start Only, Power Rear Windows, Power Rear Child Safety Locks, Power Door Locks w/Autolock Feature, Power 1st Row Windows w/Front And Rear 1-Touch Up/Down, Perimeter/Approach Lights, Perimeter Alarm, Outside Temp Gauge, Outboard Front Lap And Shoulder Safety Belts -inc: Rear Center 3 Point and Pretensioners, Multi-Link Rear Suspension w/Coil Springs, Metal-Look Gear Shift Knob. 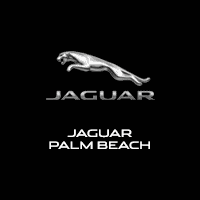 * Stop By Today *A short visit to Jaguar Palm Beach located at 915 S. Dixie Hwy, West Palm Beach, FL 33401 can get you a reliable XE today! Wi-Fi Hotspot, Wheels: 18 Unique 10 Split-Spoke (Style 1049) -inc: diamond turned finish, Valet Function, Trunk Rear Cargo Access, Trip Computer, Transmission: Electronic 8-Speed ZF Automatic -inc: ZF 8HP45, JaguarDrive Control w/normal, eco, dynamic and rain/ice/snow mode and steering wheel mounted shift paddles, Tires: 18, Tire Specific Low Tire Pressure Warning, Systems Monitor, Sport Heated Leather/Metal-Look Steering Wheel w/Auto Tilt-Away. This Jaguar XE has a dependable Intercooled Turbo Premium Unleaded I-4 2.0 L/122 engine powering this Automatic transmission. *These Packages Will Make Your Jaguar XE 25t Landmark The Envy of Your Friends *SiriusXM Satellite Radio -inc: 3 month complimentary subscription, Side Impact Beams, Rocker Panel Extensions, Remote Releases -Inc: Power Cargo Access and Power Fuel, Remote Keyless Entry w/Integrated Key Transmitter, Illuminated Entry and Panic Button, Rear Fog Lamps, Rear Cupholder, Rain Detecting Variable Intermittent Wipers, Radio: Meridian 380W Sound System -inc: Navigation Pro, Pro services, Wi-Fi hotspot, InControl apps, InControl Touch 10 touchscreen, voice control, dynamic volume control, Bluetooth connectivity and audio streaming, iPod integration, HD Radio and USB and 12V socket in center console, Radio w/Seek-Scan, Clock, Aux Audio Input Jack, Steering Wheel Controls and Radio Data System, Quasi-Dual Stainless Steel Exhaust w/Polished Tailpipe Finisher, Proximity Key For Doors And Push Button Start, Power Tilt/Telescoping Steering Column, Power Rear Windows, Power Rear Child Safety Locks, Power Door Locks w/Autolock Feature, Power 1st Row Windows w/Front And Rear 1-Touch Up/Down, Perimeter/Approach Lights, Perimeter Alarm, Outside Temp Gauge. * Visit Us Today *Live a little- stop by Jaguar Palm Beach located at 915 S. Dixie Hwy, West Palm Beach, FL 33401 to make this car yours today! Wi-Fi Hotspot, Wheels: 18 Unique 10 Split-Spoke (Style 1049) -inc: diamond turned finish, Valet Function, Trunk Rear Cargo Access, Trip Computer, Transmission: Electronic 8-Speed ZF Automatic -inc: ZF 8HP45, JaguarDrive Control w/normal, eco, dynamic and rain/ice/snow mode and steering wheel mounted shift paddles, Tires: 18, Tire Specific Low Tire Pressure Warning, Systems Monitor, Sport Heated Leather/Metal-Look Steering Wheel w/Auto Tilt-Away. This Jaguar XE has a strong Intercooled Turbo Premium Unleaded I-4 2.0 L/122 engine powering this Automatic transmission. *This Jaguar XE 25t Landmark Has Everything You Want *SiriusXM Satellite Radio -inc: 3 month complimentary subscription, Side Impact Beams, Rocker Panel Extensions, Remote Releases -Inc: Power Cargo Access and Power Fuel, Remote Keyless Entry w/Integrated Key Transmitter, Illuminated Entry and Panic Button, Rear-Wheel Drive, Rear Fog Lamps, Rear Cupholder, Rain Detecting Variable Intermittent Wipers, Radio: Meridian 380W Sound System -inc: Navigation Pro, Pro services, Wi-Fi hotspot, InControl apps, InControl Touch 10 touchscreen, voice control, dynamic volume control, Bluetooth connectivity and audio streaming, iPod integration, HD Radio and USB and 12V socket in center console, Radio w/Seek-Scan, Clock, Aux Audio Input Jack, Steering Wheel Controls and Radio Data System, Quasi-Dual Stainless Steel Exhaust w/Polished Tailpipe Finisher, Proximity Key For Doors And Push Button Start, Power Tilt/Telescoping Steering Column, Power Rear Windows, Power Rear Child Safety Locks, Power Door Locks w/Autolock Feature, Power 1st Row Windows w/Front And Rear 1-Touch Up/Down, Perimeter/Approach Lights, Perimeter Alarm. * Visit Us Today *For a must-own Jaguar XE come see us at Jaguar Palm Beach, 915 S. Dixie Hwy, West Palm Beach, FL 33401. Just minutes away! Wi-Fi Hotspot, Wheels: 18 Unique 10 Split-Spoke (Style 1049) -inc: diamond turned finish, Valet Function, Trunk Rear Cargo Access, Trip Computer, Transmission: Electronic 8-Speed ZF Automatic -inc: ZF 8HP45, JaguarDrive Control w/normal, eco, dynamic and rain/ice/snow mode and steering wheel mounted shift paddles, Tires: 18, Tire Specific Low Tire Pressure Warning, Systems Monitor, Sport Heated Leather/Metal-Look Steering Wheel w/Auto Tilt-Away. This Jaguar XE has a powerful Intercooled Turbo Premium Unleaded I-4 2.0 L/122 engine powering this Automatic transmission. * Experience a Fully-Loaded Jaguar XE 25t Landmark *SiriusXM Satellite Radio -inc: 3 month complimentary subscription, Side Impact Beams, Rocker Panel Extensions, Remote Releases -Inc: Power Cargo Access and Power Fuel, Remote Keyless Entry w/Integrated Key Transmitter, Illuminated Entry and Panic Button, Rear Fog Lamps, Rear Cupholder, Rain Detecting Variable Intermittent Wipers, Radio: Meridian 380W Sound System -inc: Navigation Pro, Pro services, Wi-Fi hotspot, InControl apps, InControl Touch 10 touchscreen, voice control, dynamic volume control, Bluetooth connectivity and audio streaming, iPod integration, HD Radio and USB and 12V socket in center console, Radio w/Seek-Scan, Clock, Aux Audio Input Jack, Steering Wheel Controls and Radio Data System, Quasi-Dual Stainless Steel Exhaust w/Polished Tailpipe Finisher, Proximity Key For Doors And Push Button Start, Power Tilt/Telescoping Steering Column, Power Rear Windows, Power Rear Child Safety Locks, Power Door Locks w/Autolock Feature, Power 1st Row Windows w/Front And Rear 1-Touch Up/Down, Perimeter/Approach Lights, Perimeter Alarm, Outside Temp Gauge. * Stop By Today *For a must-own Jaguar XE come see us at Jaguar Palm Beach, 915 S. Dixie Hwy, West Palm Beach, FL 33401. Just minutes away! Wi-Fi Hotspot, Wheels: 19 Dark Satin Grey Diamond Turned Finish, Valet Function, Trunk Rear Cargo Access, Trip Computer, Transmission: Electronic 8-Speed ZF Automatic -inc: ZF 8HP45, JaguarDrive Control w/normal, eco, dynamic and rain/ice/snow mode and steering wheel mounted shift paddles, Tires: 19, Tire Specific Low Tire Pressure Warning, Systems Monitor, Sport Heated Leather/Metal-Look Steering Wheel w/Auto Tilt-Away. This Jaguar XE has a dependable Intercooled Turbo Premium Unleaded I-4 2.0 L/122 engine powering this Automatic transmission. *These Packages Will Make Your Jaguar XE 30t 300 Sport The Envy of Your Friends *SiriusXM Satellite Radio -inc: 3 month complimentary subscription, Side Impact Beams, Rocker Panel Extensions, Remote Releases -Inc: Power Cargo Access and Power Fuel, Remote Keyless Entry w/Integrated Key Transmitter, Illuminated Entry and Panic Button, Rear-Wheel Drive, Rear Fog Lamps, Rear Cupholder, Rain Detecting Variable Intermittent Wipers, Radio: Meridian 380W Sound System -inc: Navigation Pro, Pro services, Wi-Fi hotspot, InControl apps, InControl Touch 10 touchscreen, voice control, dynamic volume control, Bluetooth connectivity and audio streaming, iPod integration, HD Radio and USB and 12V socket in center console, Radio w/Seek-Scan, Clock, Aux Audio Input Jack, Steering Wheel Controls and Radio Data System, Quasi-Dual Stainless Steel Exhaust w/Polished Tailpipe Finisher, Proximity Key For Doors And Push Button Start, Power Tilt/Telescoping Steering Column, Power Rear Windows, Power Rear Child Safety Locks, Power Door Locks w/Autolock Feature, Power 1st Row Windows w/Front And Rear 1-Touch Up/Down, Perimeter/Approach Lights, Perimeter Alarm. * Stop By Today *Treat yourself- stop by Jaguar Palm Beach located at 915 S. Dixie Hwy, West Palm Beach, FL 33401 to make this car yours today!